Why not have a ride day for us parents with kids? What does everyone else think? I know my guy would probably get even more excited to ride with some other groms. My 7yo is still on training wheels, but if he wasn't I'd totally be down for this. Good idea. 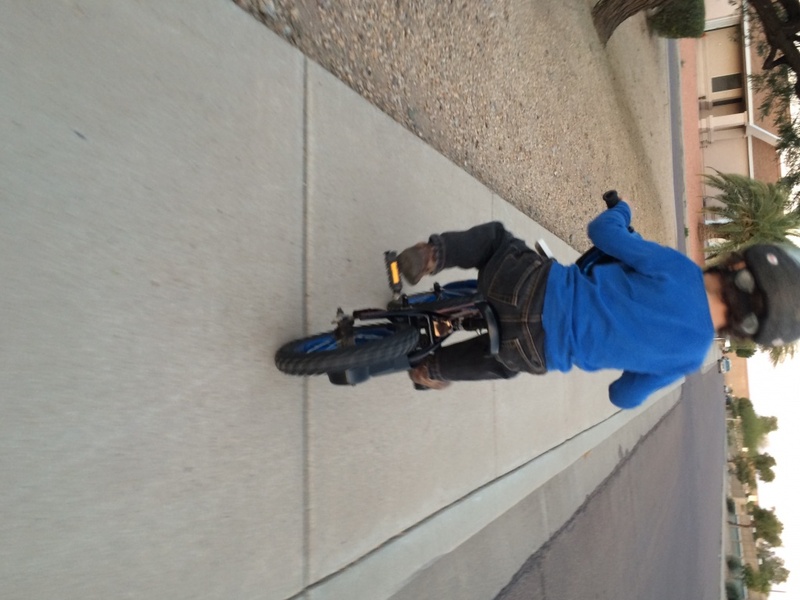 Just took the training wheels off for my 4yo, but he's probably to little for anything but a sidewalk. Good idea though! I have a 7 yo girl and 9 yo boy. I think riding with others would certainly be a draw for my kiddos. However, they both have basic single-speed bikes, fine for flat trails, but nothing too rugged. Hard to know if/when the investment for an actual MTB in their size would be worth it. I saw a few at my LBS yesterday priced around $350. Not bad, but still a lot if they are not going to be into it. 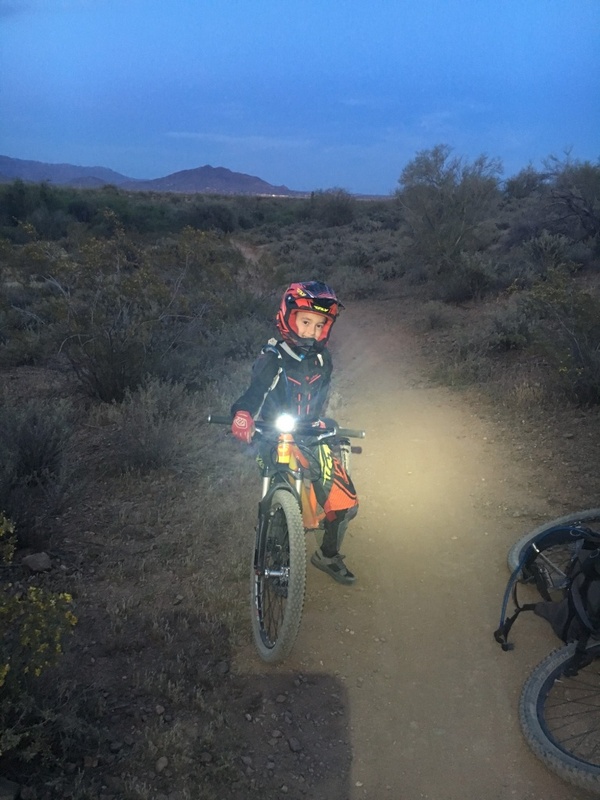 My 8 year old son and I go riding with a small group of 7-9 year olds and their mom/Dads all the time, i will send you a note next time we plan something. We go to MCDowells, Browns Ranch and Sonoran North, the more the merrier. Awesome Mark! I look forward to it! Hey, keep me in the loop, too. 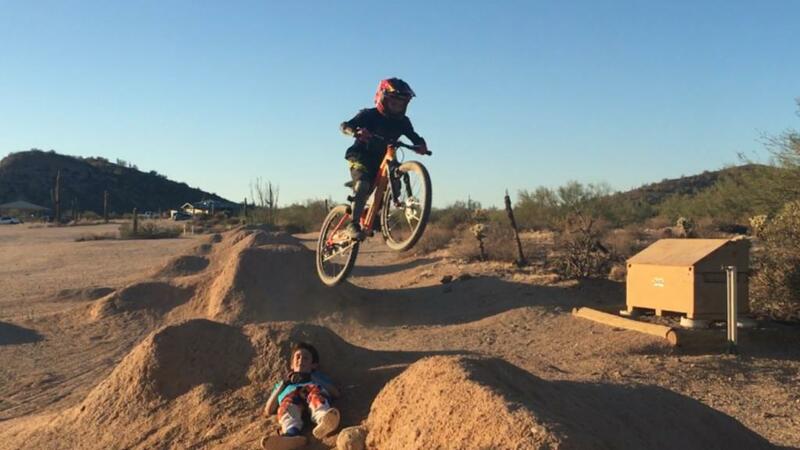 I have a couple of kids who love to ride. They are 9 and 7 and we'll leave the 4 year old at home. My daughter is 9 and not ready for proper trails yet. Well I will start introducing her, but for her a group ride will be too much pressure. I am sure some kids younger than her can ride rings around her and for now I'd rather have her gain confidence vs feeling behind. yes, but, every kid i've seen seems to do better with other kids around. If you go wtih some kids younger, you can almost guarantee that the group will stretch out and have something for everyone's pace, which will help yours feel at ease. girls are different and respond to different motivation. I know she will be embarrassed if she can't keep up and that will hurt her development. This do not mean she must ride alone, but with group kids she does not know who can zip along in the dirt... I know her too well. It does remind me I need to set-up a ride with one of her friends. That will be probably be a more comforting environment for her right now. Overall she has more capability than she gives herself credit for, but is scared to "under perform" so need to work with her on that. Find new ways break her out that mold. Small confidence boosters work well for her. i totally understand. my 7yo is often the same way, esp since her bigger sister is so much better. Desert Trails and Ft. Tuthill helped a lot, because she didn't have to keep up wtih anyone but it could still be a social situation. I also spent a lot of time just with her to build mileage, bringing snacks or candy to reward her. Get some kids she'll like, esp if you can get other girls, that are in her range, and just make it fun like a restaurant or picnic after. She will rise to the occasion they all do. Joe I have noticed that there are way more girls (kids in general) that are riding around while other family races. Maybe take her to one of those and hang out. I do it with Caleb and he is all over the place. Which makes me think the 24 inch MTB offerings are going to start getting good. Lots of new blood hitting the trails. Has this continued? I have a 6yo who has ridden 40th and shay area several times. Would love to get him out with other kids. Currently we ride around 4 miles in an hour. To make thing easier for him I picked up a rip rock with 20x2.8" tires, it has made a world of difference. ping Rob at https://www.facebook.com/DynamixDevo/. That is who we ride with. A lot of the families were at the MMP night ride on sat, and we had 3 groups of kids for various speeds. Some of the families are really into racing, others like us just dabble and enjoy the group rides. Hey Guy's - group of familes are headed to MMP this Sunday around 10 if anyone is interested. We park in the main parking lot where the race loops are and do different rides form there. We typically BBQ and hang out in between the rides. place is great for kids with the short loop options. Kids form 4-10 with varying riding skills..
From Louisville Kentucky looking for riders to meet up and ride with! Meet for a windy ride? Regular Ride Meet-ups in Moab? Help me meet my goal for my BikeMS ride! !